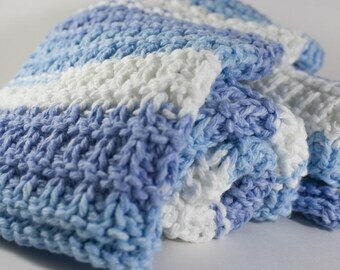 Dishcloth set is made from 100% cotton. Very durable! 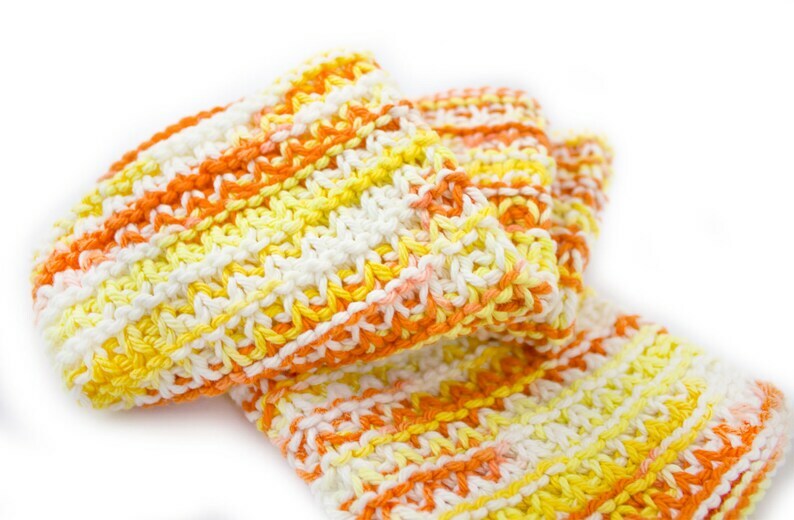 The set includes 3 orange/yellow/white -mix dishcloths [see photos]. Machine wash with like colors and tumble or lay flat to dry. You can expect the cloth to shrink slightly which will result in a softer fabric. Great quality work which was beautifully done!